Size of Baby: 7 ounces and 5.5 inches long, about the size of a bell pepper. How I'm Feeling: I feel pretty good. I'm still getting these headaches but I haven't had quite as many this week so fingers crossed that they're starting to go away. The only thing that helps is if I drink caffeine and I feel like I've had SO much caffeine these last few weeks. I'm sure it's fine but it worries me a little. I hardly had any caffeine when I was pregnant with Campbell. Clothes: No changes in the clothing department. I'm still able to wear whatever I want. Movement: Still not a ton of movement. I was feeling Campbell constantly moving at this point so I'm a little disappointed (and somewhat nervous) that I only feel a small little something about once or twice a day. Changes in Me: My belly has seen, what feels like, some serious growth this week. I love it! I love the bump. Baby Purchases: No purchases this week. However, my Mom got Campbell and baby #2 some matching Kickee Pants pajamas for Christmas. They're both coveralls in the natural color. 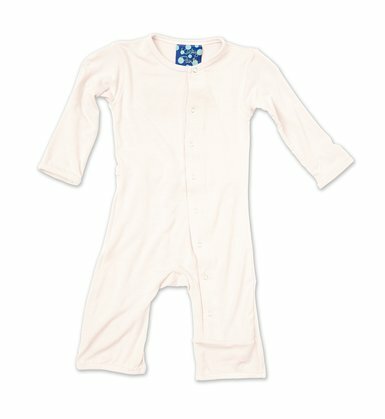 Size 2T for Campbell and preemie for new baby! It will make for a super sweet photo, I'm sure of it. Favorite Moment This Week: Christmas was so fun and special yesterday. I absolutely love everything about how the day went. I thought a lot about Christmas next year and how different it will be having two sweet babies to share the day with. Looking Forward To: Nesting!! Scott and I are planning on spending some time over the rest of the holidays to do some cleaning up and reorganizing in our house. I'd like to completely clear out the closet that's in the new baby's nursery. We're using it right now to store extra clothes and a bunch of random items and all of those things need to be donated or find a new spot in our house somewhere. It's going to feel so good to begin the process of getting that room ready for a new baby to come and live in it! !